We use recombinant DNA techniques to express proteins with biotechnological and medical purposes using different expression systems such as E. coli, Pichia pastoris and mammalian cells. The purified proteins/enzymes are characterised by enzymatic assays and other techniques such as CD, absorbance, fluorescence, calorimetry (ITC or DSC) and surface plasmon resonance (SPR). 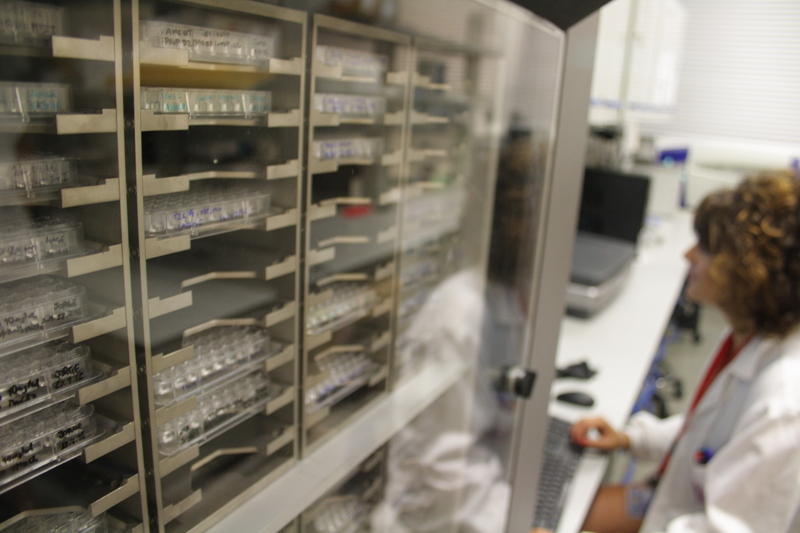 We also carry out High-Throughput Screening (HTS) to search for potential compounds in cases where the protein/enzymes are potential drug targets or may have biotechnological benefits. We furthermore complement all the above techniques with protein X-ray crystallography in order to understand the molecular mechanisms of proteins/enzymes or how potential inhibitors/pharmacological chaperones interact with the target proteins. 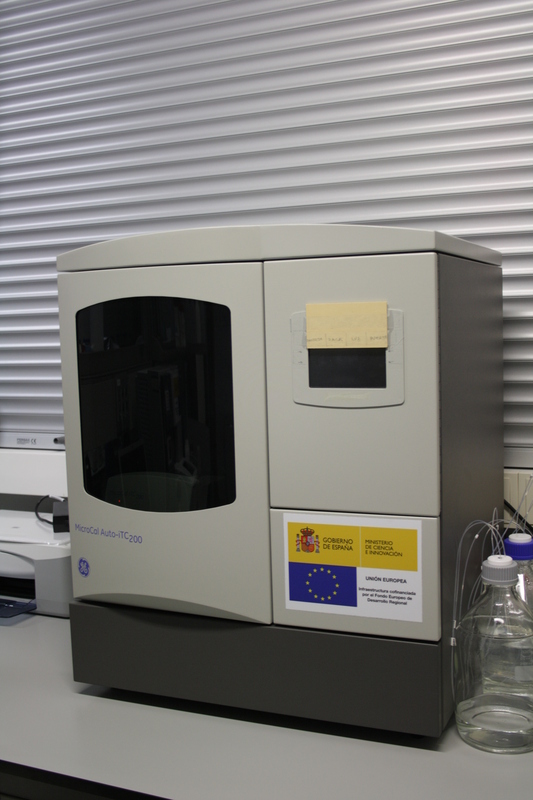 Finally we further study how the identified compounds act at cellular level by cell biology assays. 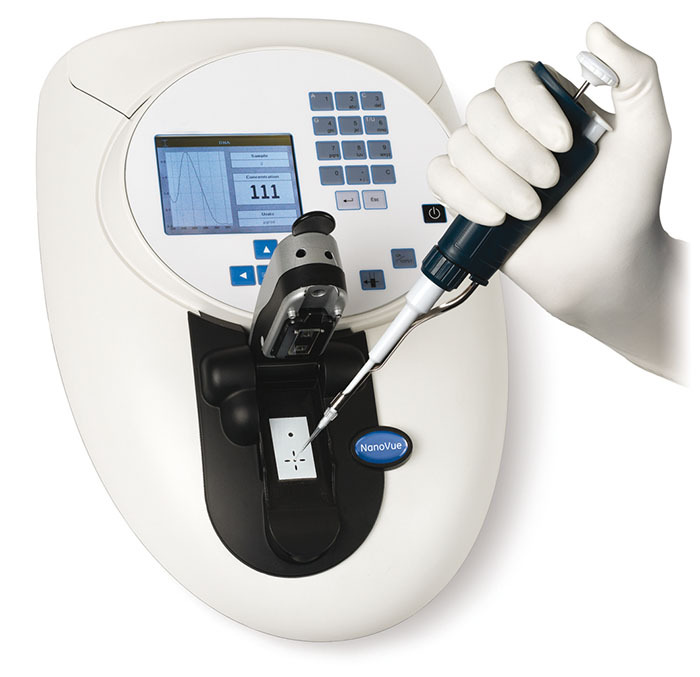 Eqquipped with a peltier temperature controller for rapid and precise temperature control of the sample cellallows characterizing the secondary structure or conformation of proteins and the interaction with other biomolecules even in steady-state assays or kinetic assays with the stopped-flow accessory. Circular dichroism, absorbance and fluorescence kinetics can be measured. 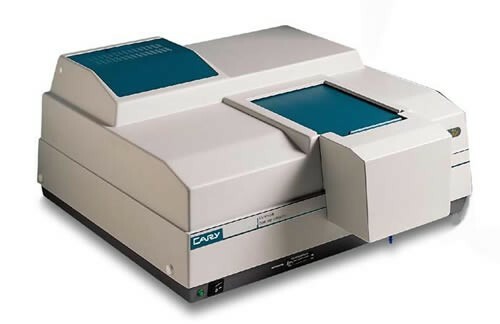 Is a double beam spectrophotometer provided with a peltierthermostatted (6 x 6) multicell holder for six samples and six reference cuvettes allowing a precise temperature control of the sample cells. 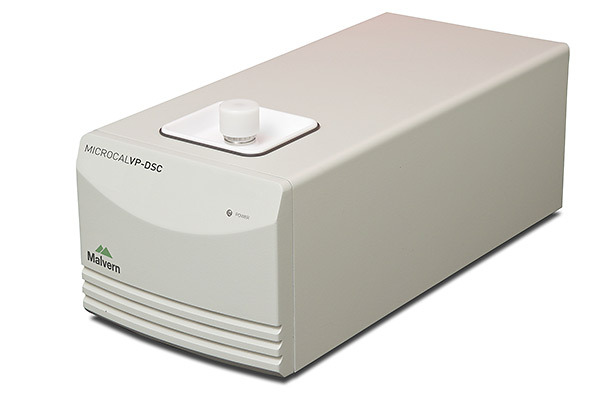 An UV/Visible spectrophotometer for quick and accurate quantitation of small volumes of nucleic acids and protein samples.Samples of 0.5 to 5 µl can be pipette directly onto the sample plate eliminating the need for cuvettes. 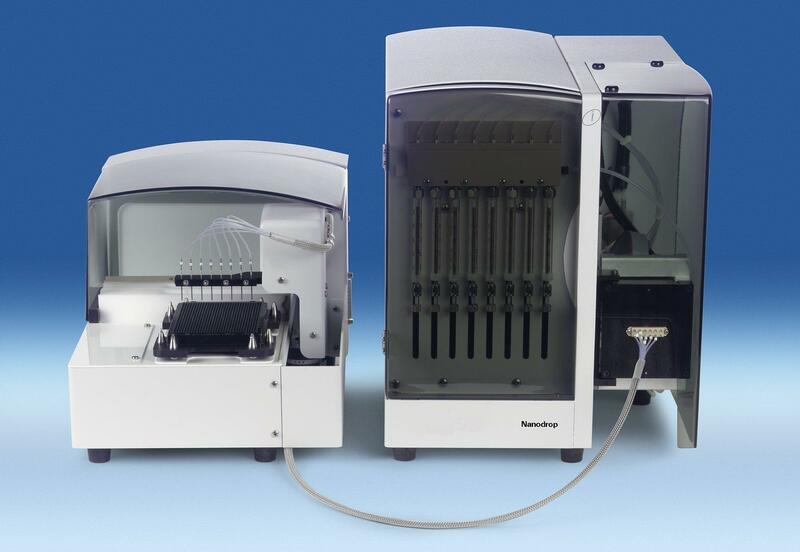 Designed to provide a complete analysis system for fluorescence, phosphorescence and chemiluminescence measurements.It is provided with a peltierthermostattedmulticell holder for measurement and reliable temperature control of up to 4 samples and with a high throughput microplate reader up to 384 samples. 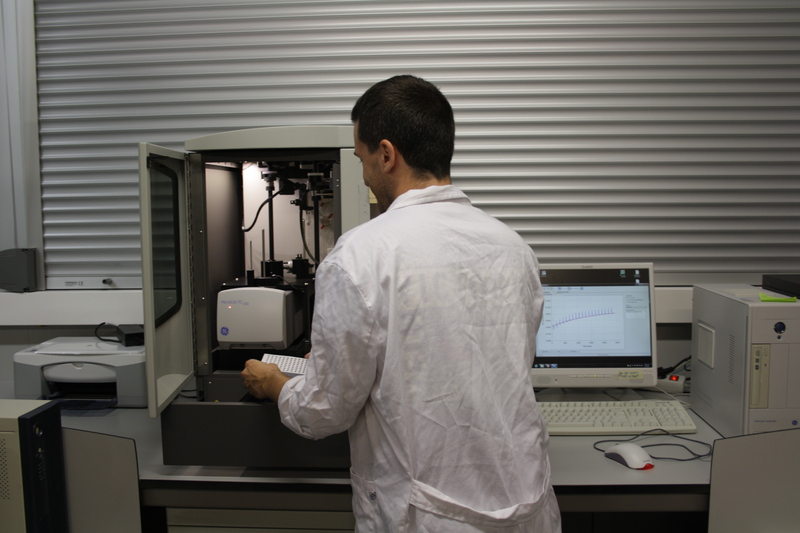 It allows characterizing the protein structure, and structural stability and interactions with other molecules. 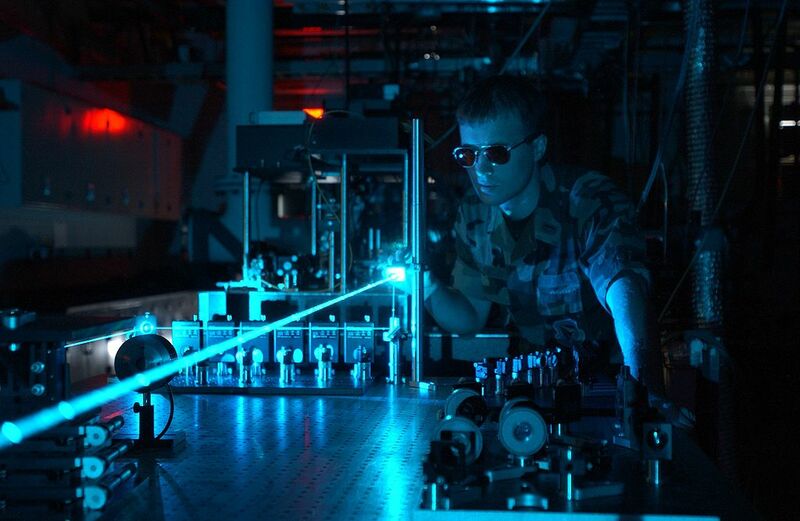 A combination Dynamic Light Scattering (DLS) and StaticLight Scattering (SLS) instrument. 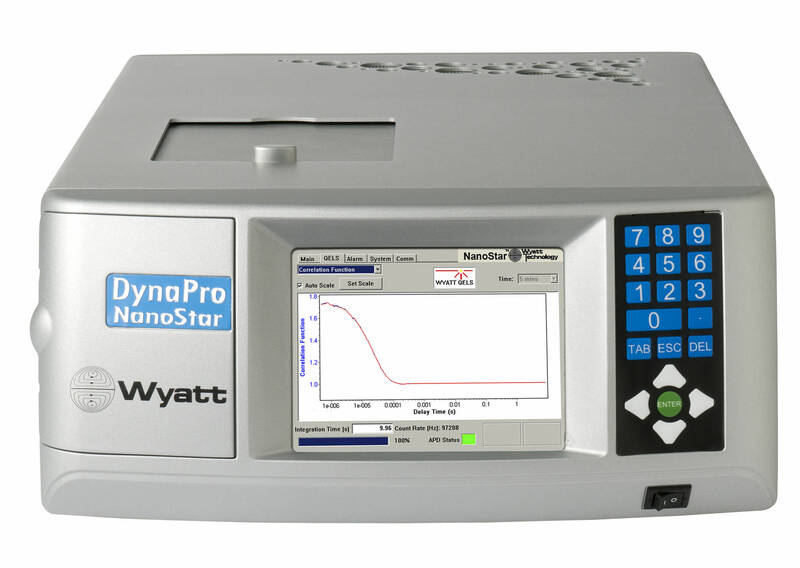 The DLS detector is used to measure the size distribution of the hydrodynamics radius,whereas the independent SLS detector can measure the molecular weight of small molecules.The DynaProNanoStar is ideally suited forstudies of nanoparticles, proteins, vesicles, viruses, and colloids. Differential scanning calorimeter for monitoring the heat capacity of a sample as a function of temperature. Thermodynamic stability of proteins and other macromolecules. Determine thermodynamic parameters in unfolding thermal denaturations, deciphering unfolding mechanism and energy landscape in protein conformational equilibrium, evaluating unfolding cooperativity and association nature of native state in proteins, and assessment of protein-ligand interactions. Isothermal titration calorimeter for the determination of reaction heat in physico-chemical processes. Determination of thermodynamic parameters (stoichiometry, affinity and enthalpy) in protein-ligand interactions (or, in general, biomolecular interactions), assessment of conformational changes and other equilibria coupled to ligand binding, assessment of (homotropic and heterotropic) cooperativity in protein-ligand interactions, optimization of binding affinity and target selectivity, determination of enzymatic kinetics parameters. Fully automated isothermal titration calorimeter for the determination of reaction heat in physico-chemical processes in multiple samples with unattended operation. Specially designed for less time- and sample-consuming assays, for avoidance of user-dependent accidental errors, for replicative assays and for testing multiple experimental conditions. 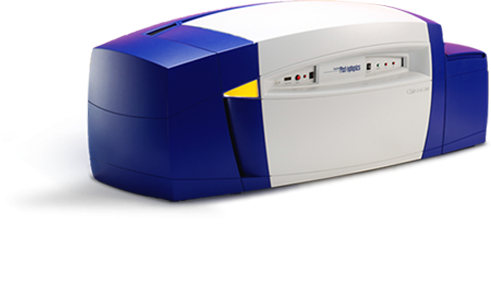 Biacore T200, is a label-free analysis system based on the phenomenon of surface plasmon resonance (SPR) to monitor the interaction between molecules in real time, providing outstanding sensitivity and high quality data for comprehensive biomolecular interaction analysis. 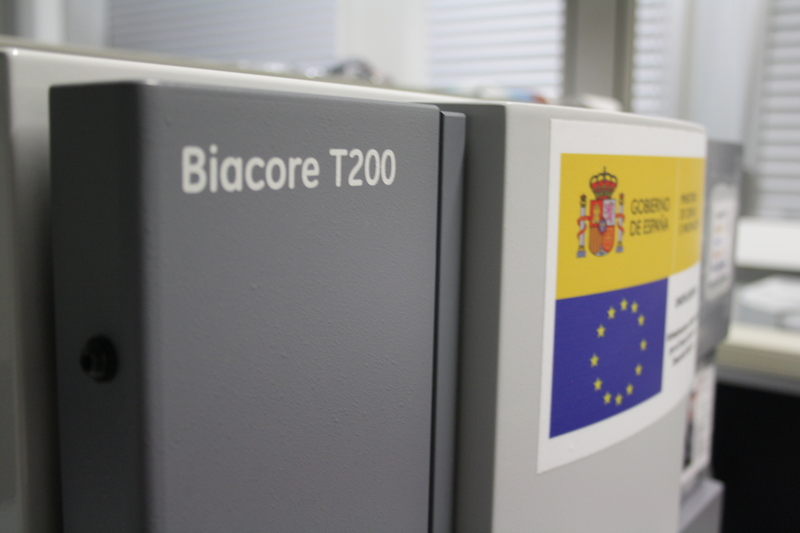 Biacore T200 consists of a processing unit, controlled from a PC running Biacore T200 Control Software. The software is wizard based for ease of use, but advanced users can develop and customize methods to suit their needs. 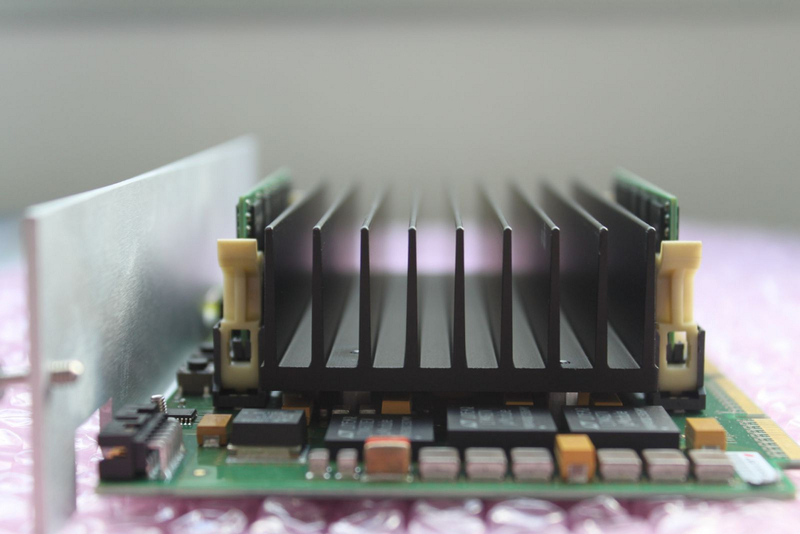 Biacore T200 processing unit provides high sensitivity and a wide dynamic range. 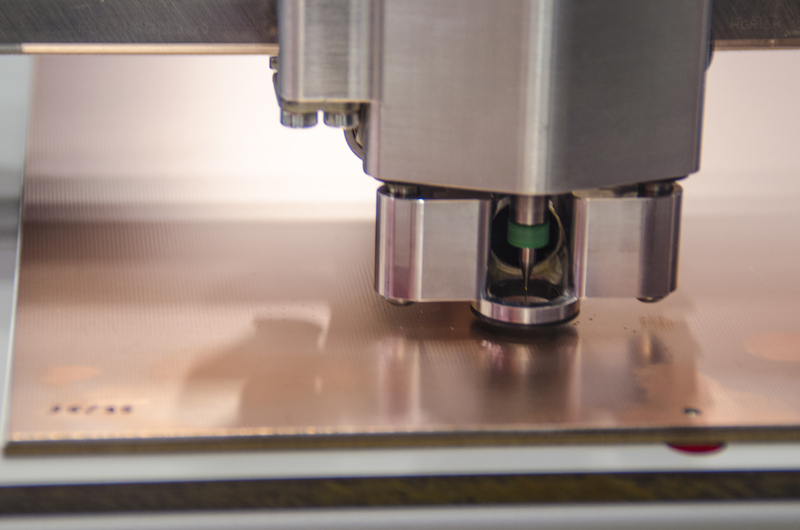 The design of the flow cells is optimized for accurate reference subtraction. An integrated buffer degasser eliminates precipitation of air in the flow system. Sensor chips and a range of chemicals and reagents are available from GE Healthcare. Multidimensional microscopy system with structured light (Optigrid) and MMAF (Metamorph) analysis software. 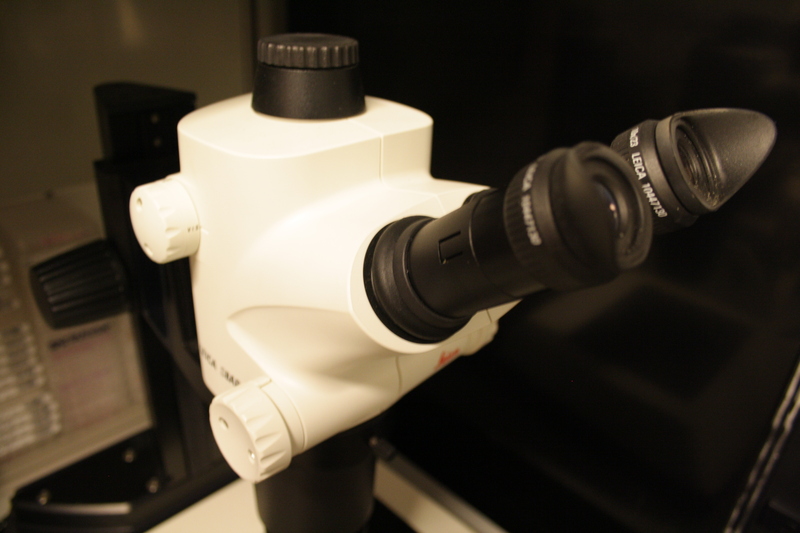 The systems comprises a completely automated fluorescence inverted microscope, an Optigrid system for semiconfocality and a temperature and CO2 concentration control unit for live cell microscopy. It also includes the Dual View System from Photometrix, which can be used for techniques such as FRET. 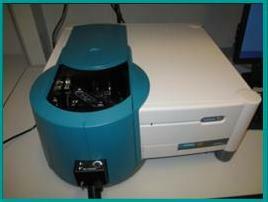 Thermostated fluorescence plate reader, with capability for temperature ramps, for monitoring fluorescence intensity using appropriate filters. Screen large collections of chemicals in order to find modulators of protein stability and function. The assays monitor a range of properties, including protein stability, enzyme activity, protein aggregation or phenotypic characteristics of cells. 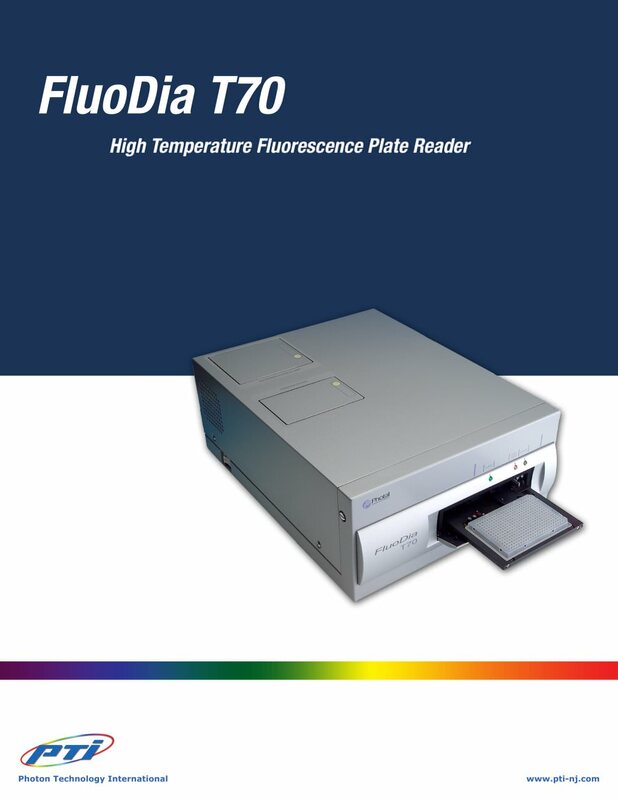 Thermostated multimode plate reader for monitoring fluorescence intensity, absorbance and luminescence using monochromator and appropriate filters. Screen large collections of chemicals in order to find modulators of protein stability and function. The assays monitor a range of properties, including enzyme activity, protein aggregation or phenotypic characteristics of cells. 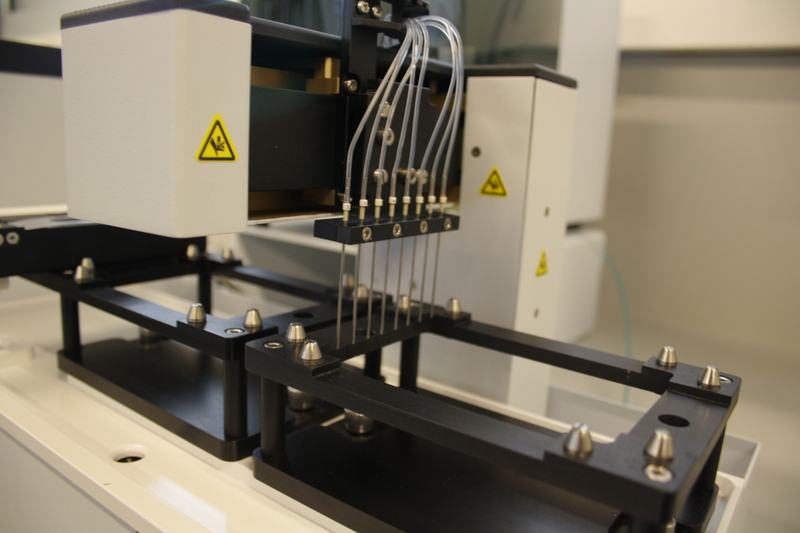 A liquid handling instrument to dispense from nanoliters to microliters of solutions, using a 8-tip dispense arm, from tubes to vials to plates. This device can work with fixed or disposable tips. Applications preparation of mother liquor screens/grids. Application: Protein crystallization (screenings preparation and protein addition at micro and nanoliters level). BIFI Institute has developed a great research activity in different fields of computing area: HPC, grid computing, cloud computing, GPUs, dedicated computers (FPGAs) and volunteer computing. The Computing area plays a two-fold role, providing BIFI researchers and external organizations with computing resources and, at the same time, carrying out research into different fields of distributed/scientific computing. 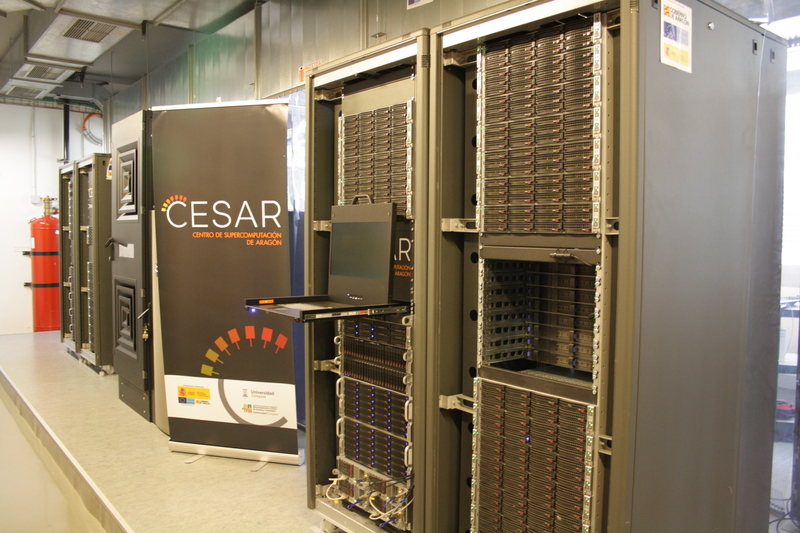 The BIFI operates Caesaraugusta, a supercomputer with 3,072 cores and 25 TFLOPs, which is the current node of Aragón in the RES. 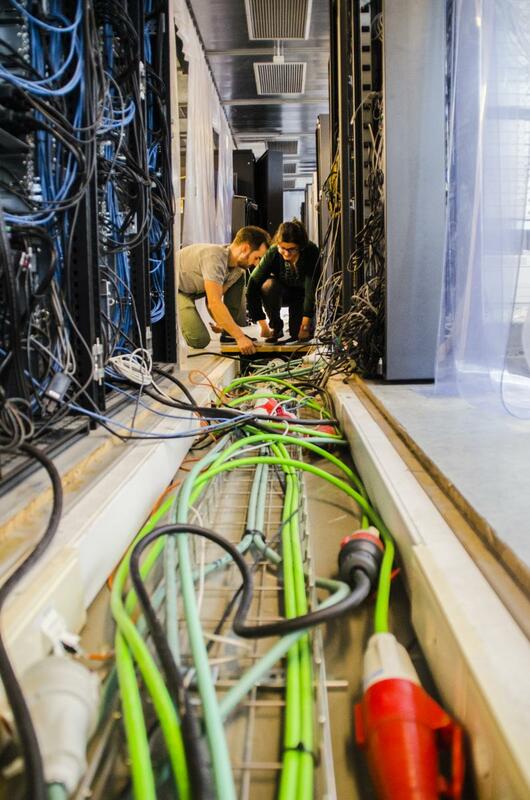 This computing infrastructure is supplemented by more than 10,000 volunteer computing cores (the Ibercivis project) and two special-purpose machines (JANUS I and Janus II) devoted to material science calculations that are equivalent to several thousand cores. 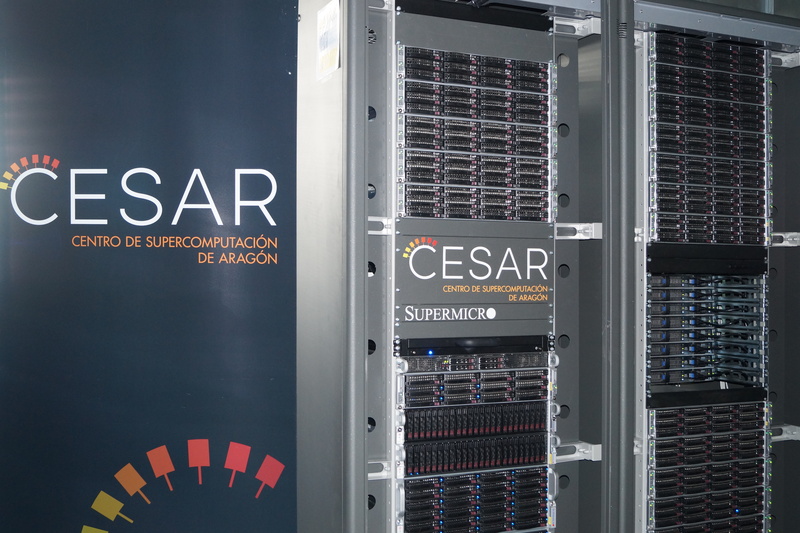 Finally, we have recently opened CESAR, the Aragon Supercomputing Center that adds state-of-the-art computing facilities to provide service to many end-users in our autonomous region. 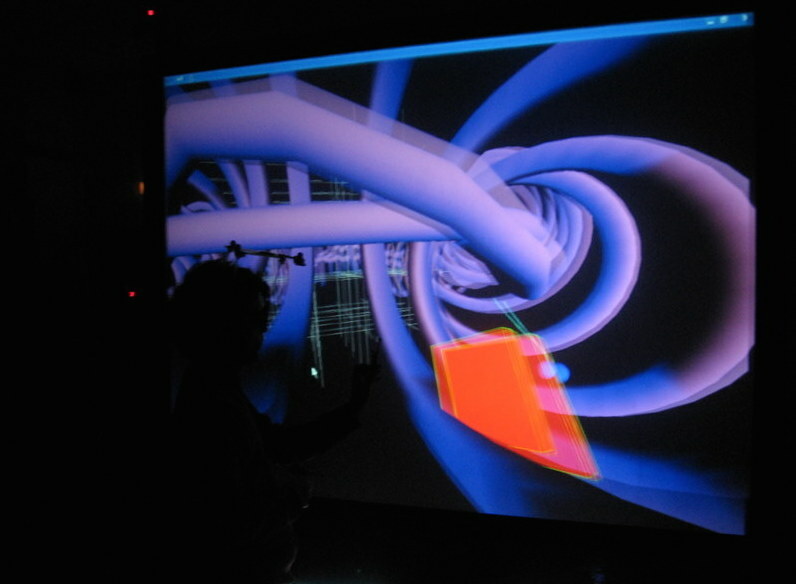 The Aragon Supercomputing Center (CESAR) encompasses a group of laboratories, infrastructures and advanced services in the areas of high performance computing (HPC), cloud computing, citizen science and advanced visualization, being specially intended for both, public scientific research and use by private companies. 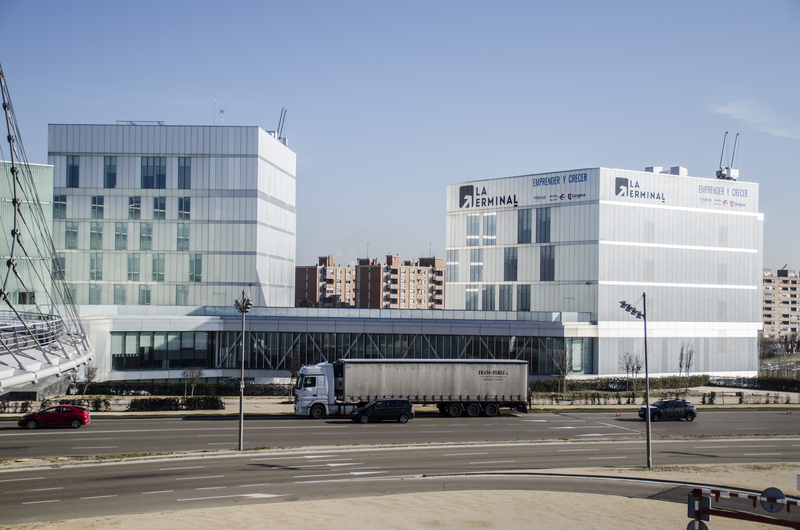 The center has two physical locations; The Supercomputing Laboratory (LSC), a data center located in the Building R&D at Campus Río Ebro, and the Open Innovation Lab (LIA), located in Etopia Building, Zaragoza, where different citizen activities take place. The main goal of CESAR is to provide research groups with computing power and data storage, constituting a one-stop shop for most researchers in order to optimize resources and improving efficiency in the field of high performance-computing. The center also helps companies in the adoption of new technologies around computing, robotics and advanced visualization. At the same time, it assists and carries out participatory projects in which citizens are active and collaborative part of science and research. 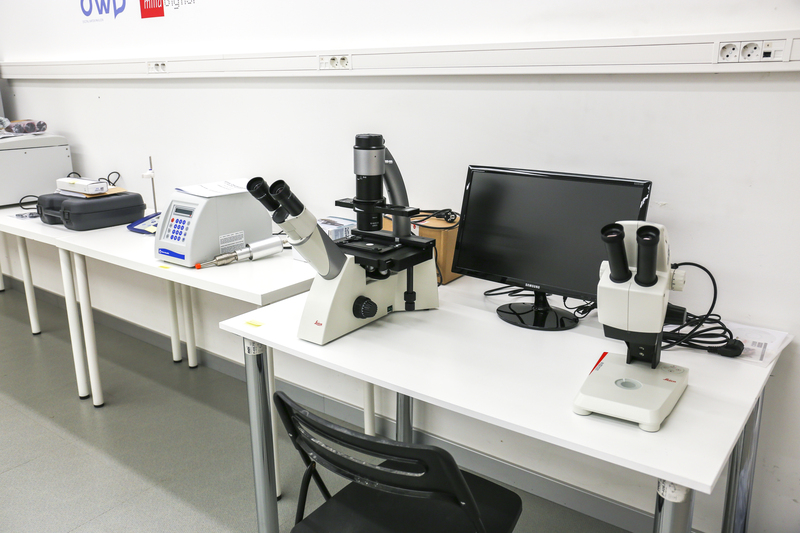 BIFI Institute has implemented ten laboratories devoted to Citizen Science: FabLab, Digital Prototyping, WetLab, Robotics, Audio, Visualization, Computing, Sensorizing and Video with a total budget of half a million Euros. In these laboratories, the Citizen Science community together with the scientific community can develop their own scientific projects. All this equipment is in Etopia Building (Center of Art and Technology in Zaragoza), occupying and area of 1000 m². In general terms, one could say that only three things are really indispensable to do scientific research: knowledge, time and resources. It seems clear that people today can access this knowledge through several sources other than traditional ones and have more free time. For these reasons, we must guarantee that citizens have an easy access to educational information and resources. The laudable attempt to unify the scientific knowledge and technological advances between researchers and citizens is an essential step to discover their real potential and take advantage of it. Having citizens as mere spectators is not the proper solution. Thus, it is necessary to create a common space where researchers and citizens can interact with each other and exchange interesting projects and ideas. The collaboration with researchers will allow citizens to understand and apply the scientific method and having access to an infrastructure traditionally reserved to scientists. On the other hand, researchers can benefit from the valuable contributions of citizen science. Finally, this symbiosis allows us to better understand and improve Citizen Science. Cierzo is a distributed memory supercomputer designed for high performance computing with a certain degree of heterogeneity; it combines general purpose CPUs (Intel64 based), with new generation NVidia GPUs and Intel Xeon Phi coprocessors. 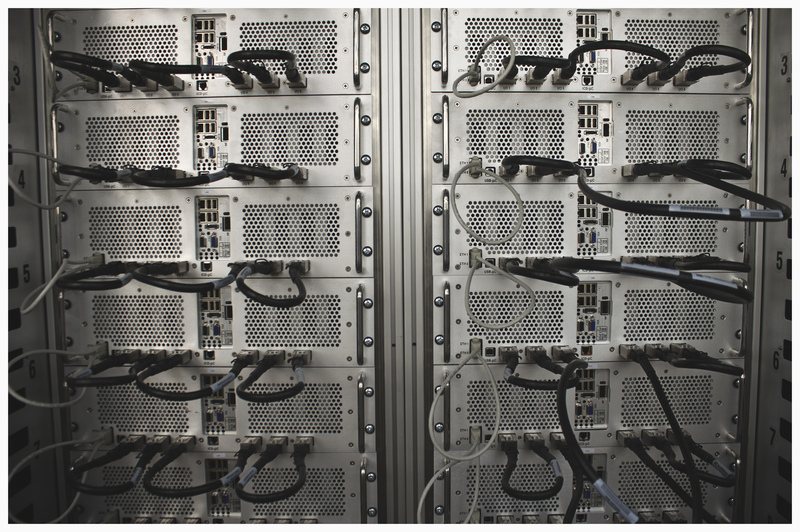 In total, the system has 2080 general-purpose cores, 7,31 TeraBytes of RAM memory and 288 TeraBytes of raw storage, using a low-latency Infiniband FDR network (56 Gbps) for intercommunication. Its peak performance (Rpeak) is 85,87 TeraFLOPs and on the other hand, it is a very energy efficient system, with a performance of 2,38 GigaFLOPS per watt consumed. 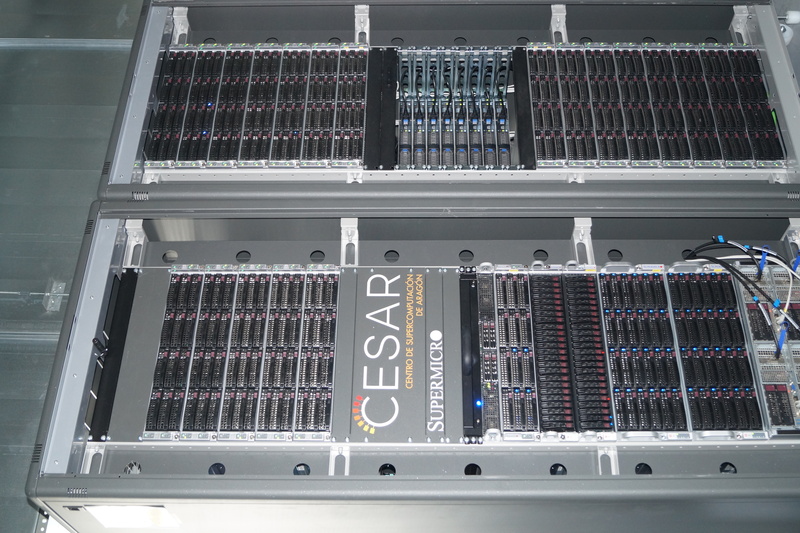 Currently, Cierzo is the Aragon’s node in the distributed ICTS “Red Española de Supercomputación” (RES, “Spanish Supercomputing Network”), where it is known as “Caesaraugusta” (version 3). Cierzo offers a complete computing service on a distributed memory HPC cluster. The current list of available compilers, libraries and applications (expandable on user demand) can be found in CESAR’s Website. Users from institutions who endorsed the FEDER funds application for the acquisition of CESAR’s equipment. Research groups from the University of Zaragoza. R&D projects based in Aragon. Users from the Spanish Supercomputing Network. Any other external public/private organization that requires its use for research activities. 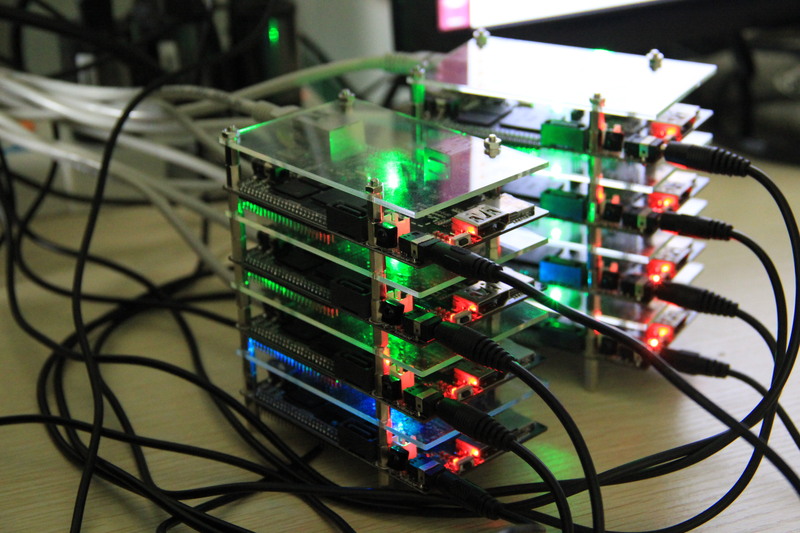 Memento is a “hybrid” shared memory supercomputer equipped with 3072 computing cores (AMD64 Opteron 6272 2.1 GHz, “Interlagos”), 12TB of RAM memory, 51 TB of net storage and Infiniband QDR network (40 Gbps) for intercommunication. Its peak performance (Rpeak) is 25,8 TFLOPs, while the real performance (Rmax) is 20 TeraFLOPs. 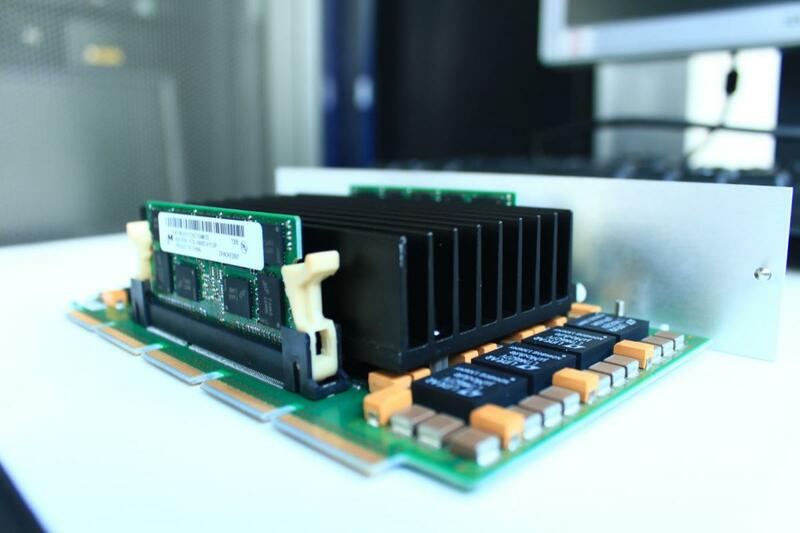 Memento offers a classic HPC computing service, being specially designed for parallel efficient and/or memory-intensive applications. The current list of available compilers, libraries and applications (expandable on user demand) can be also found in CESAR’s Website. BIFI researchers and their collaborators. Any other external public/private organization, which requires its utilization for research activities. Colossus in a cloud-computing infrastructure based on OpenStack and has 1800 cores Intel Xeon E5-2670-v3 and a total of 20TB of RAM. Its internal and external connectivity is 10G Base T and its hypervisor in charge of virtualization is KVM. Furthermore, its storage solution is based on Ceph and has a raw capacity of 600TB. The internal connectivity of the storage system is a high speed and low latency network (Infiniband) and the external connectivity is 10G. All these features allow a high data redundancy and availability. 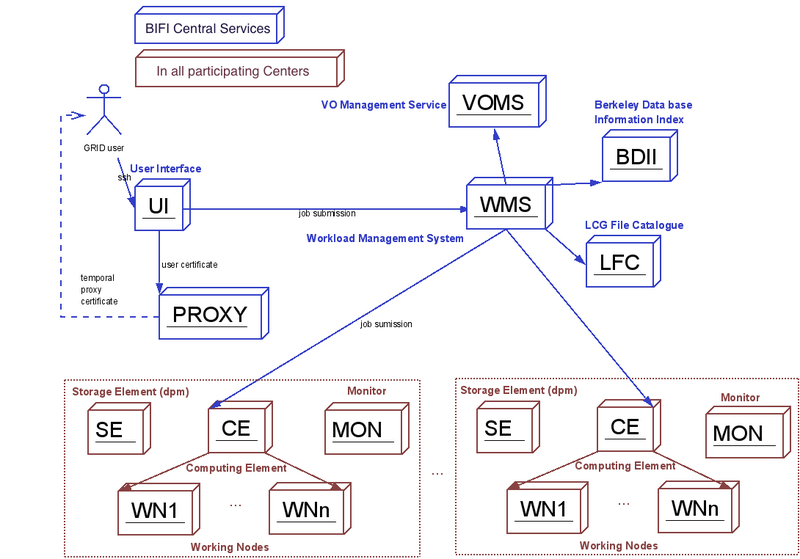 The whole computing and storage infrastructure is highly redundant, load-balanced and monitored in order to guarantee a high availability to its users. Colossus mainly offers a use of Infrastructure as a Service (IaaS), allowing users to manage their own machines and services, which gives this infrastructure great flexibility and dynamism. However, it is also possible to deploy and integrate software platforms as Served (SaaS), and platform as a Service (PaaS) through collaborative arrangements. Colossus allows a wide range of uses such as: highly CPU demanding scientific applications, corporate services, Big Data analysis and agile development and software integration, giving the possibility of creating small machines from 1 core and 1GB RAM to 24 cores and 240GB RAM. The speed in creating virtual machines and the ability to install and configure any framework, makes Colossus a unique tool for researchers, companies, education, etc. AraGrid is a distributed cloud computing infrastructure, which has four nodes: Two of them are placed at BIFI (Zaragoza, Campus Rio Ebro), and the other two are located in Escuela Politécnica Superior de Huesca (EPSH) and Escuela Universitaria Politécnica de Teruel (EUPT). It has around 2000 computing cores, 200TB of raw storage and 4TB of RAM and implements different versions of OpenStack in its several locations, but the basis of its operation is shared globally. Cloudflow http://www.eu-cloudflow.eu/ and CloudSME http://www.cloudsme.eu/ that are projects in which the use of simulations in the Cloud is promoted among the European SMEs. Computers have become an essential tool in our quotidian lives. Very simple daily mundane activities as buying a train ticket or sending someone a message require the use of conventional computers. Of course, they also play a very important role in more difficult tasks, such as bank transfers or power grid management for instance. On the other hand, computers have also made possible many advances in Science and nowadays are patently present in a very wide set of different scientific areas. Indeed, many institutions around the World spend a huge amount of money and human effort to build clusters of computers (see for example, www.top500.org/lists/ for a detailed ranked list of the most powerful supercomputers in the World). For some specific problems, however, conventional computers are not enough. They would spend thousands of years to perform some particular calculations. So in the framework of supercomputing one finds the Special Purpose Computers, which are developed and designed to perform some specific computing-intensive calculation. In our Institute we hold two special purpose computers. The first one, called Janus, was developed and designed in the first decade of this century, being fully operative in 2008. More recently, the Janus Collaboration designed a second Janus generation machine called Janus II, that is at BIFI from 2013. 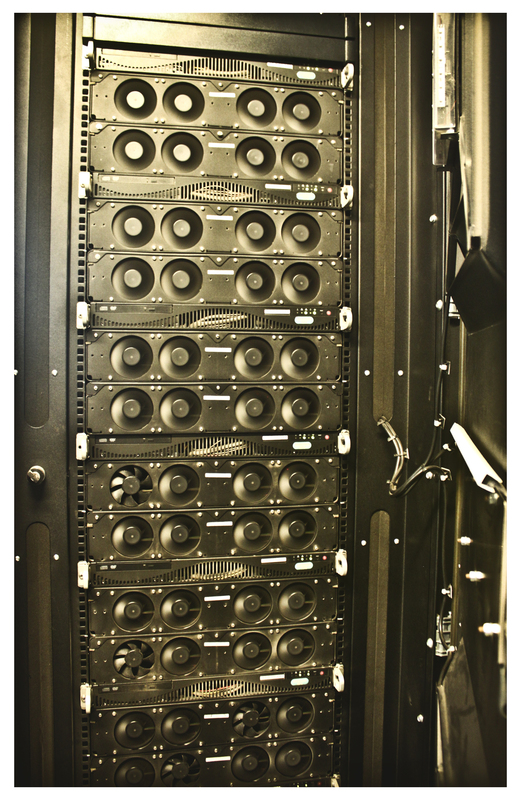 The Janus supercomputer is a modular, massively parallel, and reconfigurable FPGA-based computing system for High Performance Scientific Computing. It takes the name from the ancient Roman god of gates and doors, of beginnings and endings, of passages and time, usually represented by two faces, one looking to the past, another one to future. After a gestation period of around two years, Janus was born in 2008 thanks to a very successful scientific collaboration between researchers from BIFI and the Universidad de Zaragoza, Universidad Complutense de Madrid, Universidad de Extremadura, Università degli Studi di Roma “La Sapienza” and Università di Ferrara. From the innovative work by Pearson and Richardson in the late 70’s or that of Ogielsky and Condon in the 80’s to our days, proﬁting of the newest technological advances, several refined dedicated computers and improved clusters have been developed to study spin glasses. Two successful examples can be found also in Zaragoza. In 1991 the group of Zaragoza designed and developed RTN (Reconfigurable Transputer Network) . Later on, a second generation spin glass machine was completed in 2000 and called SUE (Spin Update Engine) . Janus is composed by 16 boards. On each board, a bidimensional 4×4 grid of FPGA-processors is located and linked obeying periodic boundary conditions. Each of these processors is called SP (Simulation Processor) and carries on the simulations. A 17th FPGA is settled in the middle acting as a crossbar and called IOP (Inpu/Output Processor), in charge of all internal connections and external communications. All FPGA modules are Xilinx Virtex4-LX200. The Janus II Special Purpose Computer is the new generation supercomputer located at BIFI. As its predecessor Janus, Janus II was designed as a multipurpose reprogramable supercomputer, also based on reconfigurable FPGA processors. JanusII was born during the summer of 2013 as the second high challenging project of the Janus Collaboration. These researchers from Spain and Italy (BIFI, Universidad de Zaragoza, Universidad Complutense de Madrid, Universidad de Extremadura, Università degli Studi di Roma “La Sapienza” and Università di Ferrara) went an step further in the development and design of the new supercomputer respect its predecessor. Following the same successful Janus philosophy, JanusII is composed again by 16 boards. On each board, 16 latest generation FPGA processors (Xilinx Virtex-7 XC7VX485T FPGA) are located and linked obeying periodic boundary conditions. They are called SP’s from “Simulation Processor”, since they will be in charge of the simulations. All SP’s on each board are controlled by a full fledged computer that we call CP (Control Processor), running the Linux operating system. These CP’s configure all FPGA processors for the simulations, controlling and monitoring their status. The CP uses a commercially available Computer-on-Module system (COM), based on an Intel Core i7 processor; it connects via the PCIe interface to a so-called Input-Output-Processor (IOP) built inside yet another FPGA. The IOP actually manages all connections to all SP’s, controlling the configuration procedure and their operation, and monitoring their status. The Janus II architecture includes also improved communications, permitting the interconnection between all boards, and it enlarges 100 times the memory available. JanusII was built thanks to FEDER funds: Ministerio de Economía y Competitividad (Gobierno de España), Gobierno de Aragón, European Union. The system allows visualization in 3D stereo as well as position yourself in different scenarios in real time. Two different equivalent images are generated in the computer, one for the left eye and the other for the right. Both images are shown through a projector in the same screen. The light of the left image passes through a polarizer filter, and the light of the right image through another filter that is orthogonal to the first one. This system needs circular polarized sunglasses: the right eye sees the right image and the left eye the left image. The optical positioning system is composed of 12 infrared cameras and allows placing the user in the scene. A Bluetooth pad permits to interact with the application. 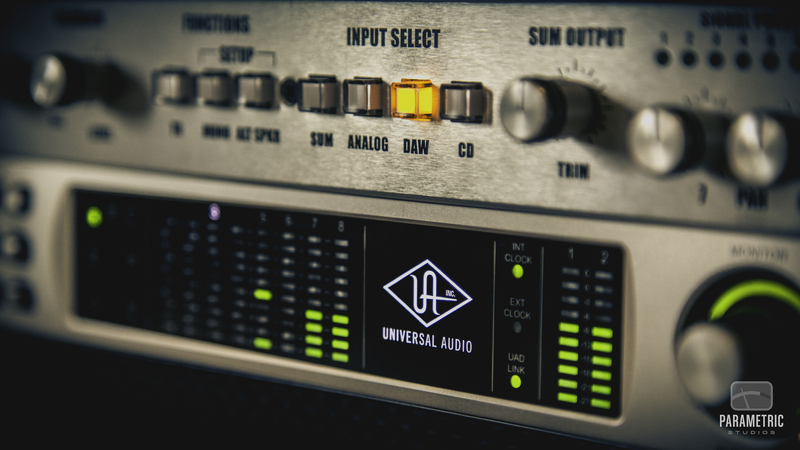 There are also six speakers that produce a surround sound. 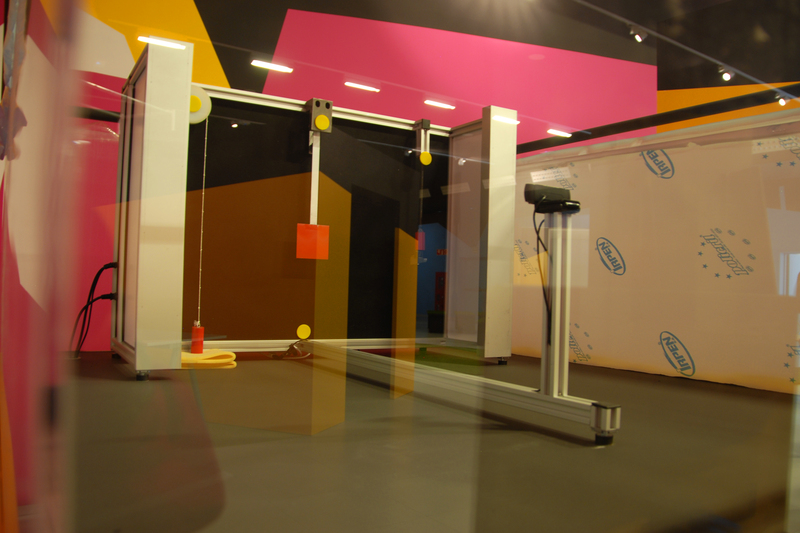 The active 3D System and the positioning through Microsoft Kinect were introduced to facilitate the transport of the system, because in this way, the size is much smaller, which means saving time and money compared to the passive system. Protein docking app: a NS3 protein, the one that causes Hepatitis C, the drug, and a visualization of the evolution of the disease from 1997 to 1999 are shown. Fusion application: the old fusion applications at BIFI were integrated in a new environment that allows visualizing the model of the TJ-II and ITER nuclear fusion reactors and their parts. We can launch particles interactively and simulate the behavior of thousands of them. Augmented reality app: it has been integrated a library for recognizing fiducials, and with the help of a Web cam, some 3D models can be visualized, for example, a protein or a molecule. 15M-movement application: This app is a complex network simulation that permits the visualization of the geo-positioned messages exchanged between Twitter users during the 15M movement that took place in Spain in 2011. Prisoner’s dilemma app: this app allows the visualization in real time of the development of a large-scale experiment organized by BIFI Institute with 1.300 students from schools and institutes of Aragon. 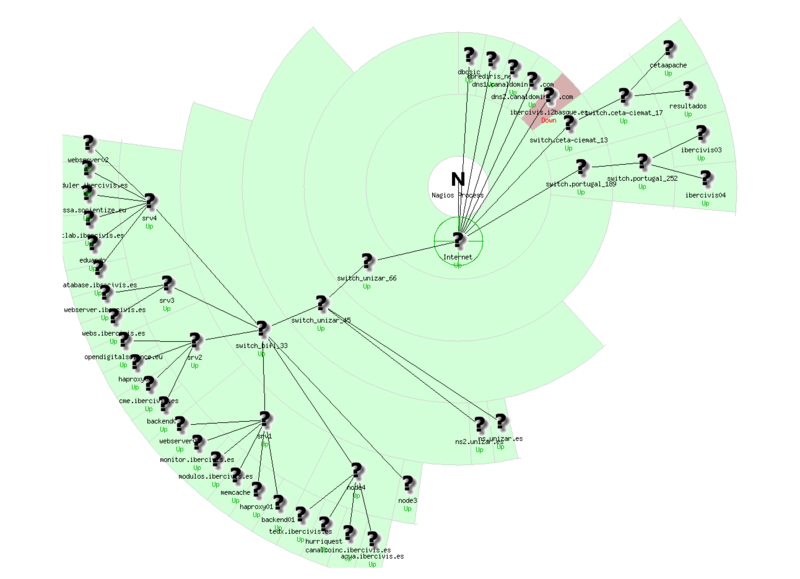 In this experiment, subjects were connected in a huge network and they interact with each other. Composition of complex water, Carbon Dioxide and Sulfuric Acid through basic elements such as Oxygen, Hydrogen, Carbon and Sulphur. It is based on augmented reality. Interaction with a positive and a negative wire nettings of atoms in which you can see the attraction or repulsion depending on the user movements. 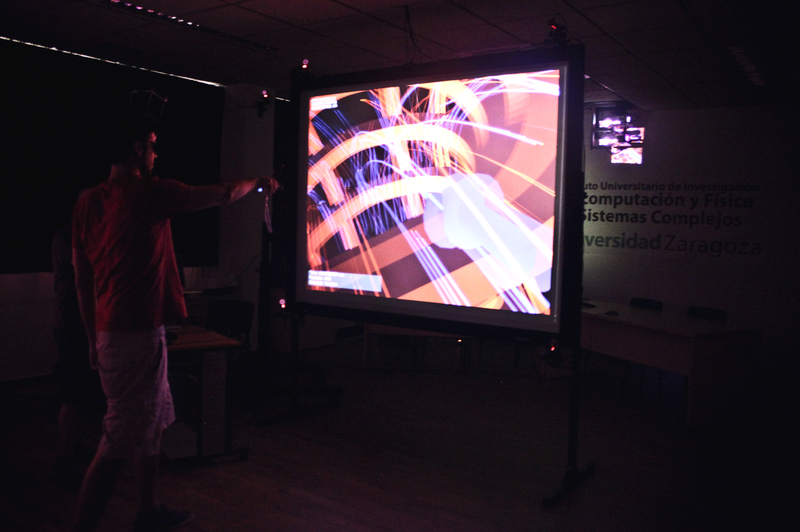 Participation in the International Symposium “Plasmas y Fusión Nuclear: Ciencia Básica y Desarrollo Tecnológico” organized by the Ramón Areces foundation during the days 11 and 12 of April 2011, showing simulations inside the nuclear fusion reactor thanks to the 3D visualization laboratory. Attendance to the Technical Seminar “Visualization and Virtual Reality” that took place on December 14 and 15, 2011, in which the researcher Cristina Viñas gave a talk about the work of the group in these research lines. Augmented Reality (RA) is a term used to define the superimposition of virtual elements over real images captured from a camera. The difference between RA and virtual reality is that the real world is not replaced, but adds information. 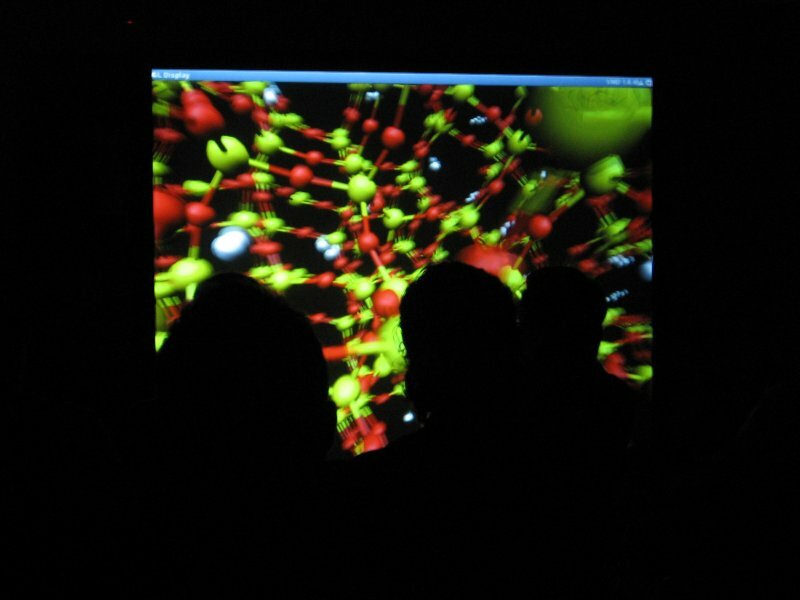 An augmented reality laboratory has been created as an expansion of the 3D visualization lab. 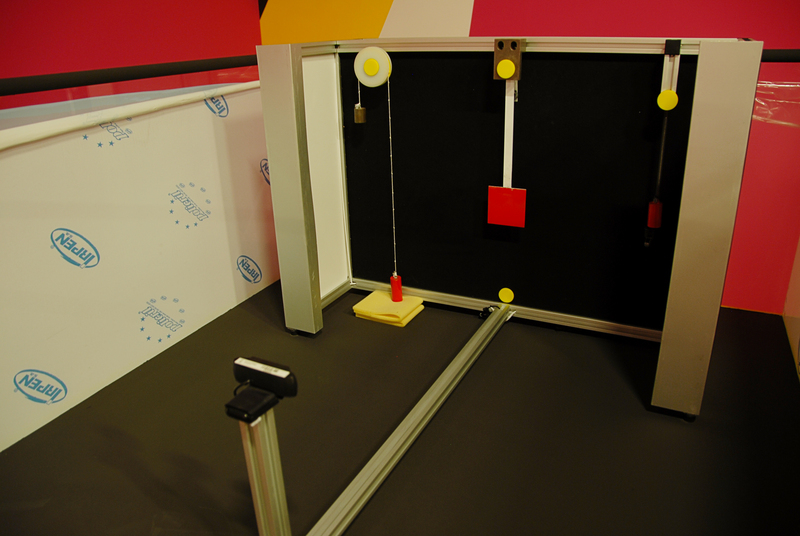 It allows simulating different physical scenarios (currently, a pendulum, a load hanging on a spring, and a free-fall). 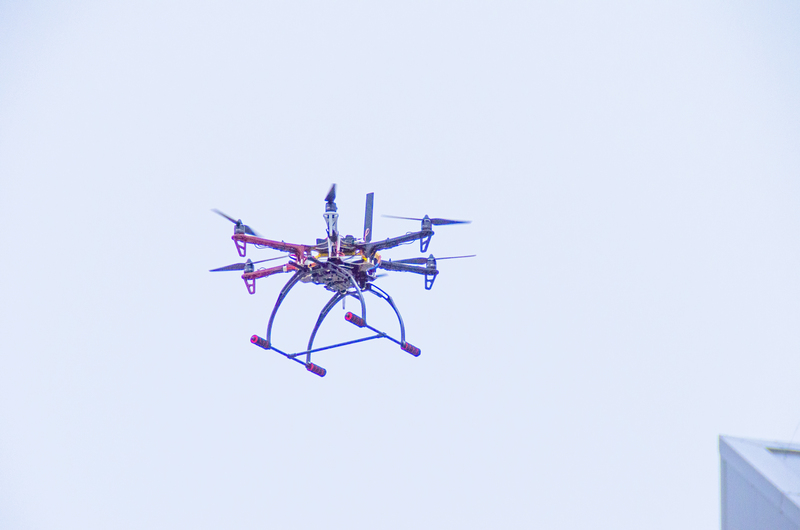 These experiments are automatically executed by various electric motors, electronic controllers, sensors and a camera that captures images that analyze the movements of the actors involved, superimposing the calculated results to verify they are correct. This laboratory has been designed from an educational sector, because this type of system is very helpful for students to better understand these problems. The idea is that this laboratory would be accessible from a Webpage in order to reduce costs for educational centers and for the right development of the project. Citizen Science Infrastructure Group is focused on providing the infrastructure to foster the research of the Citizen Science Research Group in all matters concerning citizen science projects and the study of Citizen Science as a subject. This infrastructure is divided into two parts: Etopia Labs and Ibercivis’ infrastructure. 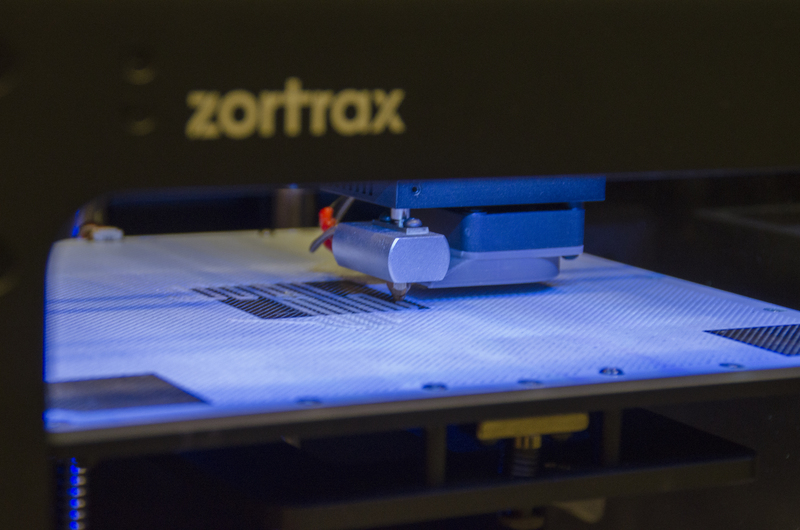 On one hand, the first one gives support to makers, researchers and citizens who work on different projects leaving at their disposal a variety of tools in different workshops such as: visualization, prototyping, robotics and wetlab. On the other hand, Ibercivis provides a powerful computing infrastructure located at BIFI Data Center that gives support of storage and computation to citizen science projects developed by the Citizen Science Research Group. 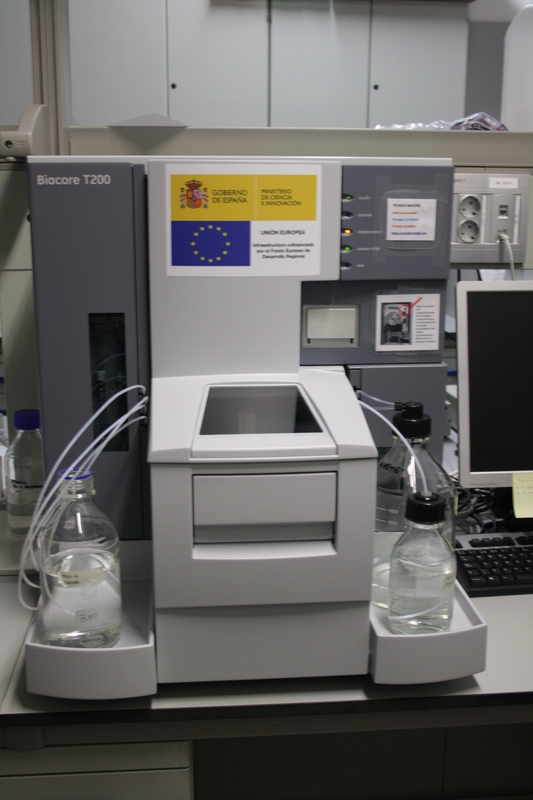 Ibercivis infrastructure allows society to participate in scientific research in a direct way and in real time. Ibercivis infrastructure is managed by the Citizen Science Infrastructure Group and it is distributed among several research centers in Spain and Portugal. 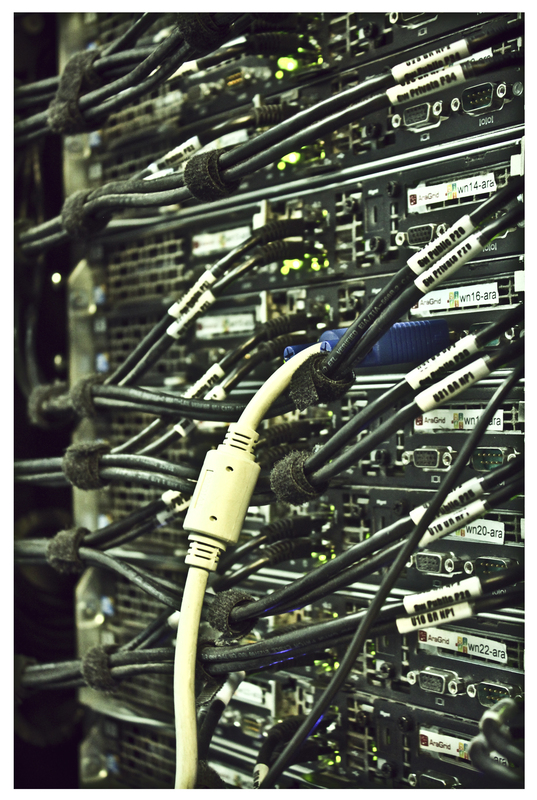 Location: Ibercivis’s infrastructure is locate at BIFI’s data center at BIFI facilities. Servers: 4 Supermicro servers. Each server has: 2 TB of disk storage and until 48 GB of RAM. One of this servers has too a 2.5 TB RAID formed by 6 SATA disk for backups. modulos.ibercivis.es: Opensocial (shindig) server and database slave. scheduler.ibercivis.es: Scheduler, feeder and transitioner. REDIRIS: dbrediris.ibercivis.es: Reverse-proxy and data base slave. CSIC: dbcsic.ibercivis.es: Ibercivis database server. cetaapache-ibercivis.ceta-ciemat.es: Default BOINC upload server. resultados-ibercivis.ceta-ciemat.es: Default BOINC download server. ibercivis03.fccn.pt: Scheduler and database server.